Many YA authors are definitely happier and a lot richer these days. It's not only because their books are a worldwide hit letting in a cash flow of royalties, but many movie studios are preferring movie adaptations of YA novels like its a surge of a trending twitter hashtag. Out of the many adaptations in the next three year's, Cassandra Clare's Mortal Instruments: City of Bones is making a noise of its own. Releasing a few marketing materials over the internet to add to the already noisy buzz of fanatics. EW has given us a glimpse of the lead character, followed by a teaser poster released on MTV. And in the next few hours a teaser trailer will hit the blogospehere. 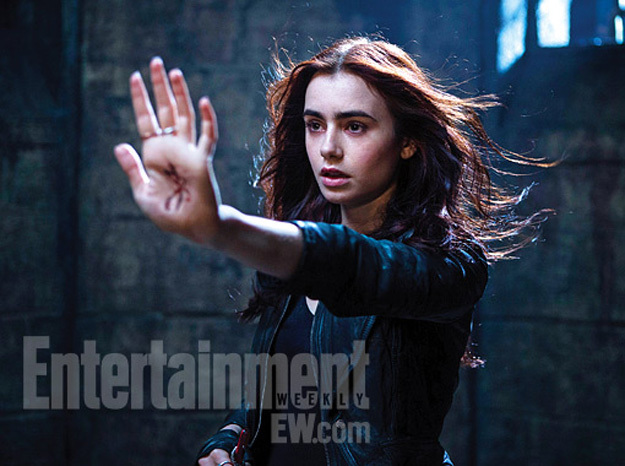 Nope, Clary's palm is not smudged by dirt or something. It is the very first rune she has drawn on herself. These magical symbols serve as protective talismans against hostile paranormal creatures. "Clary has the ability to both create new symbols and make runes that are stronger than other people's. In this scene, she is fending off an enemy with the first rune that she’s ever drawn on herself at the amazement of the other Shadowhunters," Clare said. 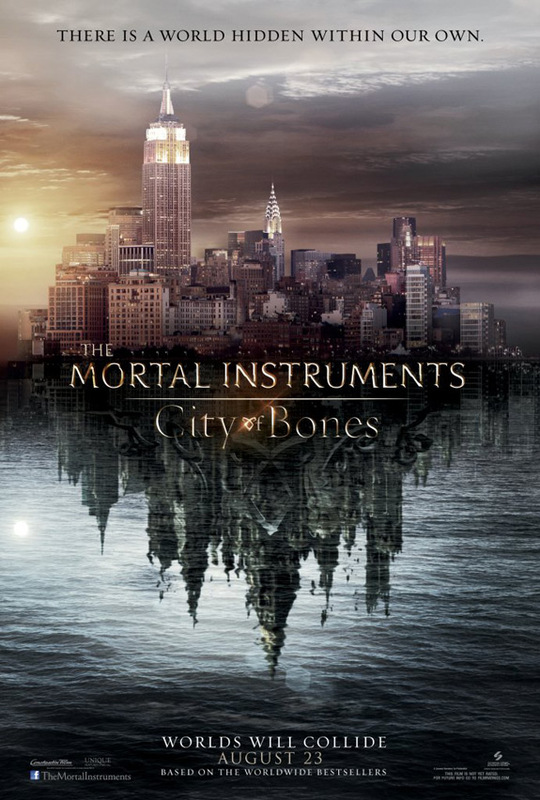 The Mortal Instruments: City of Bones teaser poster, reminiscent of the original book cover -- minus the floating body shot. The Mortal Instruments: City of Bones follows the story of Clary Fray, a seemingly regular teenager, as she struggles to survive in contemporary New York. Oh right, she's normal until... through an unexpected event she discovered that she is actually a descendant of Shadowhunters, half-angel warriors fated to protect the world from demons. Not sure whether her mother still lives or not after her disappearance, she ventured to join a group of Shadowhunters, bringing her to a dangerous alternate world called Downworld. Will she survive in this dangerous version of New York, knowing it's filled with warlocks, vampires, demons and werewolves just hiding in plain site? 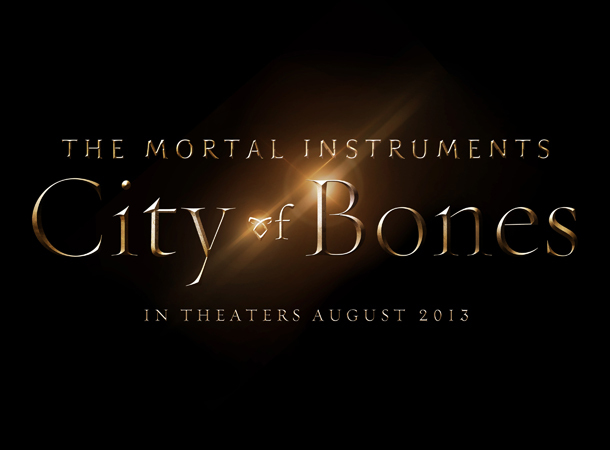 Mortal Instruments: City of Bones hits theaters on August 23, 2013.